Of the more than 40 Obama administration environment and energy-related rules that anti-environment advocates have identified for Congress to consider for elimination under the Congressional Review Act, or CRA, why have Republican leaders in Congress chosen these four as their first targets? More broadly, what is the methodology that Republican leaders in Congress are using to decide which Obama administration environmental rules to overturn under the CRA? According to Speaker of the House Paul Ryan (R-WI), Republicans in Congress are using their “precious time” to overturn Obama administration rules that they consider to be “excessive regulations that are killing jobs in America.” Yet, economists have found that the rules that Congress is targeting would either have negligible costs, minimal or positive effects on jobs, or large net economic benefits. The government’s economic analysis of the U.S. Bureau of Land Management’s, or BLM’s, rule to reduce methane waste, for example, shows that the cumulative net benefits of the rule will be between $740 million and $1.2 billion over a 10-year period. Though congressional leaders’ philosophical opposition to certain environmental rules and standards is, without question, a factor in determining which rules are being targeted, a CAP analysis finds that an industry’s or a company’s political contributions and political connections to members of Congress appears to have an oversized, but underreported, role in influencing Congress’s prioritization of its CRA attacks. In fact, the legislative procedure through which CRA resolutions are considered makes this area of legislative activity particularly vulnerable to influence from campaign contributions and behind-the-scenes lobbying activities. Which environmental rules is Congress scrapping—and why? The Stream Protection Rule: Issued by the U.S. Department of the Interior to better protect communities downstream of coal mining operations whose drinking water is at-risk from toxic pollutants. Benefits: Will protect or restore 22 miles of intermittent and perennial streams per year; will yield water quality improvements in 263 miles of streams per year downstream of mine sites; will result in an estimated gain of 280 jobs; $57 million in benefits per year from reduced carbon emissions. Costs: Industry compliance costs would average $81 million per year, which is 0.1 percent or less of annual industry revenues; could result in an estimated 124 jobs lost. The rule to end corruption in oil operations: Formally known as the Disclosure of Payments by Resource Extraction Issuers Rule, this regulation from the Security and Exchange Commission limits international corruption and bribery by requiring oil and gas companies to disclose payments they make to foreign governments to purchase drilling rights. Costs: Initial industry compliance costs: $54.7 million to $574.7 million. Following the money: According to data available at MapLight.org, oil and gas industry opponents of the rule have donated $2,321,165 to the members of Congress who sponsored the resolution to repeal the rule. Leading the charge against the rule is Exxon Mobil, who was led by then-CEO and current Secretary of State Rex Tillerson. The company has fought this rule from the outset and has been investigated on more than one occasion for dubious financial payments to secure access to oil in foreign countries. Exxon Mobil has challenged these claims and argues that the company follows American anti-bribery and anti-corruption law when operating abroad. The Methane and Waste Prevention Rule: Issued by the BLM to limit venting, flaring, and leaking of methane from oil and gas operations on public land to curb waste of taxpayer dollars and cut air pollution. Benefits: Net benefits range from $46 million to $204 million per year. Over 10 years, cumulative net benefits range from $740 million to $1.2 billion; emissions of smog-forming volatile organic compounds will be reduced by 250,000 to 267,000 tons per year, thereby reducing the release of toxic air pollutants, such as benzene—a known carcinogen. Costs: Cost to industry of implementing the rule over the next 10 years will be $110 million to $279 million per year. Following the money: According to data available at MapLight.org, oil and gas industry opponents of the rule have donated $4,969,080 to members of Congress sponsoring the resolution to repeal the rule. Leading the charge against the rule is The American Petroleum Institute, which represents the three companies that have the most to gain from the rule’s repeal: Exxon Mobil and its subsidiary XTO, Devon Energy, and Encana Energy. The Planning 2.0 rule: Issued by the BLM and aimed at protecting the voice of local communities in public lands management decisions. Following the money: According to MapLight.org, mining, livestock, and oil and gas industry opponents of the rule have donated $802,507 to members of Congress sponsoring the resolution to repeal the rule. Among the most vocal opponents of the rule is the Western Energy Alliance, a trade association representing oil and gas companies in the West, which opposed nearly every land management and energy reform initiative of the Obama administration. The striking commonality among these rules is the scale of the campaign contributions and the political connections of the affected industries to the sponsors of the legislation. Thus far, industries that have succeeded in having Congress overturn an environmental rule have donated an average of $2.3 million to the sponsors of the CRA resolutions in both chambers. This column, of course, is not the first piece of analysis to conclude that campaign contributions and lobbying muscle influence outcomes in Congress. What is new, however, is the extent to which special interests are able to game the parliamentary procedures associated with the CRA. In essence, oil, gas, and coal companies are purchasing the deletion of environmental rules through political contributions. Congress’s vulnerability to financial influence under the CRA is rooted in the law’s obscure procedure for overturning regulations. 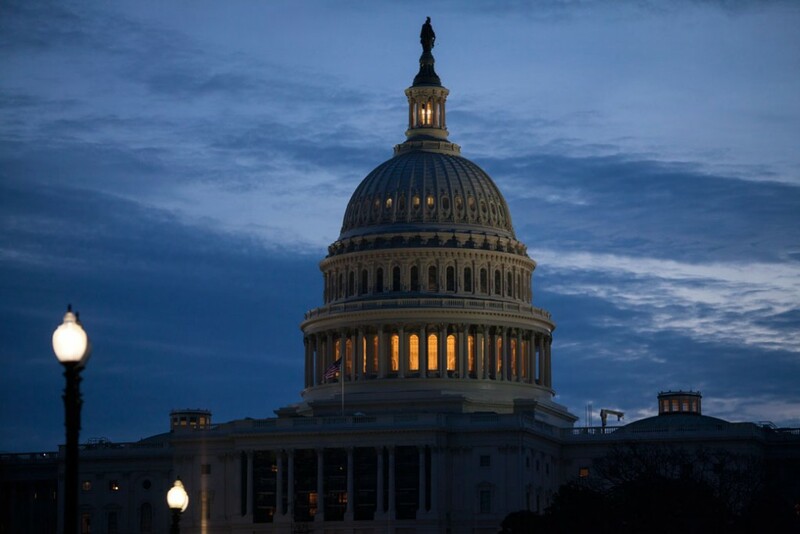 Since its passage in 1996, the CRA has given Congress the power to overturn any regulation within 60 legislative days of it being issued by an executive branch agency. To successfully overturn a rule, both chambers of Congress must pass, by majority vote, a resolution of disapproval and then have the president sign it. On a practical level, however, it is only after a change of administration—and only if the new president and a new Congress both wish to undo actions taken by the previous administration—that CRA resolutions become likely to pass. Before this year, Congress had only used the CRA successfully to overturn a single regulation: a Clinton administration rule to establish ergonomics standards in the workplace. For Senate Majority Leader Mitch McConnell (R-KY) and Speaker Paul Ryan, the CRA provides opportunities and limitations that are different than other types of legislation. Notably, the CRA gives the new Congress only 60 legislative days to overturn rules issued by the Obama administration, and those rules must have been finalized within 60 legislative days of the end of the last Congress. According to the Congressional Research Service, 61 “major” rules and regulations—the U.S. government defines major rules as those that would have an annual effect on the economy of at least $100 million—that the Obama administration finalized after June 13, 2016, are eligible to be overturned by Congress using the CRA. The CRA, however, can be used to overturn any rule—regardless of the scale of its economic benefits or costs—that was finalized in this period. By one lobbying firm’s count, more than 2,300 rules are currently eligible to be overturned under the CRA. The parliamentary procedures prescribed by the CRA, however, create practical limits on how many rules Congress can overturn. In the Senate, for example, each CRA resolution is allocated up to 10 hours of debate, meaning that—even if the Senate worked around the clock for its first 60 days—it would only be able to overturn a small fraction of the rules that are eligible to be challenged. Therefore, Majority Leader McConnell and Speaker Ryan must decide which CRA-eligible rules from the Obama administration they most want to repeal. They have to prioritize. Unlike a normal piece of legislation that would require 60 votes to pass the Senate, however, Majority Leader McConnell and Speaker Ryan do not have to worry about which CRA resolutions might garner bipartisan support. They can overturn any CRA-eligible rule through simple majority votes in both chambers. For special interests, these circumstances are a windfall. They simply need to persuade leadership in the House and Senate to put their favored CRA-resolution at the top of the stack. Through political contributions, lobbying, and insider connections, oil, gas, and coal companies have been working feverishly since November 8 to convince Congressional leaders to prioritize the dismantling of their chosen rules. Exxon Mobil and Chevron, for example, were among the largest corporate donors to the inauguration festivities that Congress hosted in January, giving a reported half a million dollars each. Congressional lobbying disclosure forms also reveal that, in the fourth quarter of 2016, Exxon Mobil increased the size of its contract with a key anti-regulatory lobbyist and directed her to target her work on the BLM methane waste reduction rule. Which environmental rules will Congress sell out next? With the clock ticking on Congress’ ability to scrap rules and standards issued in the final months of the Obama administration, Republican leaders in the House and Senate have yet to confirm all of the CRA resolutions on environment and energy rules they will bring to the floor. Will the Senate overturn restrictions on killing hibernating bears and on hunting wolves from helicopters in Alaska’s national wildlife refuges? Will the House weaken protections against the poaching of African elephants? Or will congressional leaders seek to eliminate the Environmental Protection Agency’s recent update to ozone pollution standards? Based on the early pattern of CRA votes, which rules stay and go may ultimately be decided over fundraising receptions, dinners, and ski trips in the coming weeks. In these venues, with members of Congress as their audience, corporations and lobbyists will compete with each other to win coveted time for their targeted rule in Congress. Will the American Petroleum Institute’s push to roll back air pollution protections beat out Safari Club International’s campaign to resume the importation of elephant tusks? Will the National Mining Association’s desire to allow coal companies to dodge royalties triumph over the Western Energy Alliance’s wish to curtail public input on public land management decisions? This frenzy over the CRA will be unseemly and unsavory—a grim form of March Madness in which some industries’ lobbyists will win, some lobbyists will lose, and every American will be saddled with the costs of more pollution and weaker consumer protections. Matt Lee-Ashley is a Senior Fellow at the Center for American Progress. Jenny Rowland is the Research and Advocacy Manager for the Public Lands Project at the Center. The authors would like to thank Howard Marano, Ryan Richards, and Will Beaudouin for their contributions.